Hold Still, a photo by Andrea Pokrzywinski on Flickr. 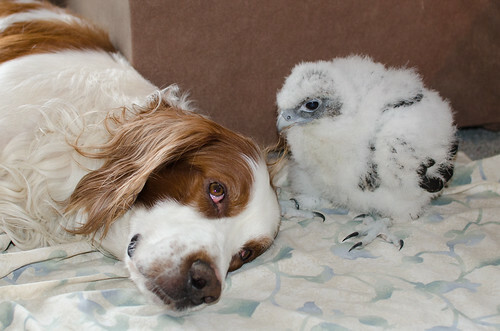 Nolan has great patience with the curious pecks of a young falcon. He will tolerate a lot of abuse just to be close to us. He will get his reward when she starts to fly and hunt with him. What a team!